Renishaw's installation of five more Cincom CNC sliding-head turning centres from Citizen Machinery raises the metrology equipment producer's tally of lathes from this supplier to 58. The annual output of components from the machines exceeds 2.5 million. 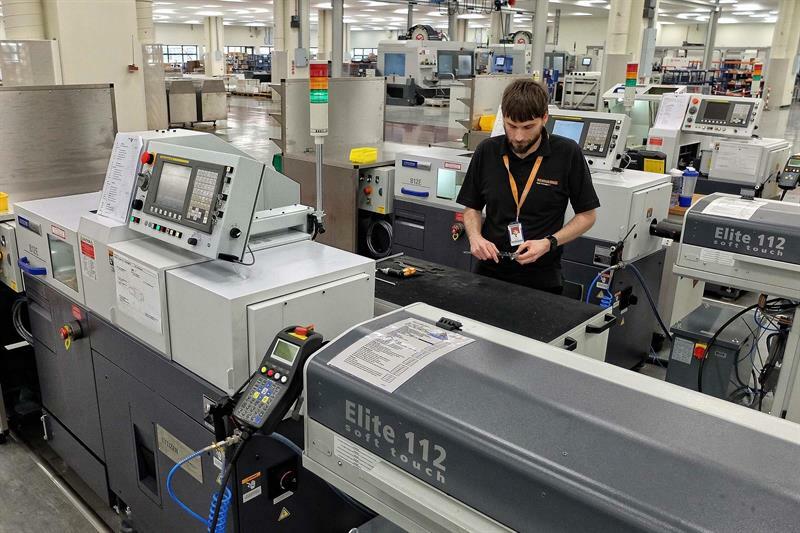 Three of the latest 12 mm capacity Cincom B12 lathes fitted with Iemca Elite 112 bar magazines were installed at Renishaw's Miskin plant in Wales, where 20 Citizen sliding-head turn-mill centres are already in use. The other two went to the company's Stonehouse factory in Gloucestershire. Senior production engineer Robert Horsley says: "This latest investment in Citizen lathes, which raised the number we use by nearly 10%, was driven by increased demand for our measurement technology. The B12 lathes are mainly used for turning and milling 303 stainless steel bar to manufacture styli and other probe components. We normally produce a month's worth for stock, which can be anything from 1,200- to 30,000-off, before we change over a machine to start a new batch. Run times are at least eight hours. "All of our Cincom turning centres have live tooling and most are twin-spindle models to enable single-hit production,” he continues. “However, we also have three single-spindle F-series lathes of 12 and 16 mm capacity in Miskin dating back to the mid-80s. They still make quality parts in relatively low volumes, such as those needed for some of our metal 3D printers, position encoders, laser calibration products and spectrometers." Various materials are processed, ranging from mild, stainless, carbon and low-alloy steels, through brass and aluminium, to corrosion-resistant copper-nickel-zinc alloys. According to Horsley, all of the lathes hold tolerances down to ±20 micron parallelism and squareness, and ±50 micron on milled features. Surface finish down to Ra 0.4 is easily achievable, doing away with the need to cylindrically grind cosmetic features. Siemens NX CAD is used by Renishaw to design components and GibbsCam to prepare programs offline for transfer to the Mitsubishi controls on the Cincom machines, which are of 12, 16, 20 and 32 mm capacity. Some have seven CNC axes with a Y axis on both spindles, while others offer 15,000 rpm at the main spindle. Several deploy 53 static and driven tools in the working area, and up to three tools cutting simultaneously for turn-milling complex parts in short cycle times. 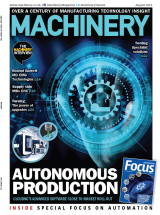 Chris Pockett, head of communications for Renishaw, says: "We have standardised on Citizen sliding-head turning machines since the 1980s, when the company demonstrated what, at the time, was ground-breaking technology. The commonality of lathe layout ensures ease of training and complete flexibility for our production engineering staff to develop processes and program any machine. Similarly, operators are able to migrate between different turning centre groups and optimise productivity. Having common platforms also benefits our maintenance operation."